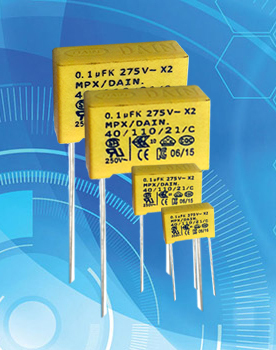 X2 Box Capacitors are electrical capacitors with an insulating plastic film as the dielectric, sometimes combined with paper as carrier of the electrodes. A ceramic capacitor is a fixed value X2 Capacitor in which ceramic material acts as the dielectric. It is constructed of two or more alternating layers of ceramic and a metal layer acting as the electrodes.Commonly used values in DAIN are MPX 473K 275Vac, 104K 275Vac, MPX 104K 310Vac, 224K 310Vac, 0.47 275Vac, MPX 0.68 310Vac, 3.3 275Vacand various others according to clients requiremnents.